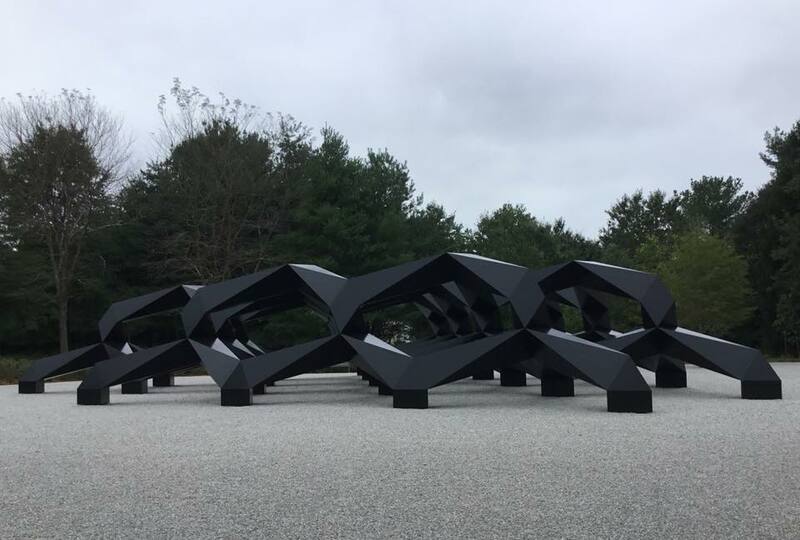 Glenstone, the private museum owned and operated by Mitchell and Emily Wei Rales, opened to the public on Oct. 4–heralded by a beautifully choreographed campaign of press. There were preview articles and reviews, accompanied in all likelihood by more to come in other publications. 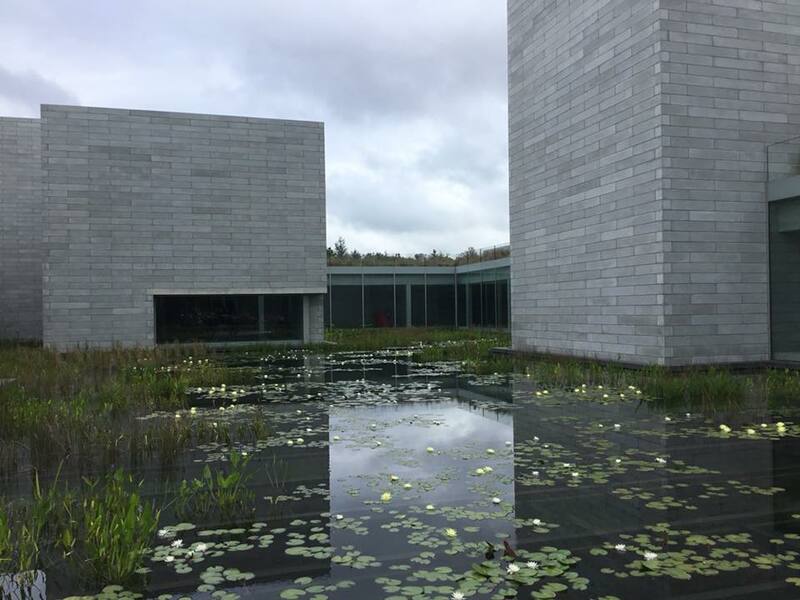 I was one of the lucky one who visited Glenstone, in Potomac, Md., and in many ways it is an excellent example of a private museum. Let’s do the positive first. The 260 acres of land that surround the museum are a near-perfect setting. Fall had not yet arrived, so my visit was between seasons, and I can imagine how lovely it will look like at peak autumn, winter, spring and summer. Every now and then, there’s a sculpture–not too many, not too few–rewarding those who walk around the grounds. I was particularly taken by Tony Smith’s Smug (at left). The Pavilions–containing 204,000 sq. ft., including 59,000 sq. ft. of gallery space–are well-proportioned inside and out and allow natural lighting of the art. The design leaves room for expansion (unlike those of some other museum architects). And the gallery spaces have a nice rhythm, both in size and placement. They surround a water court of water lilies that is quite beautiful (at right). The art installations, being minimalist, are spare and allow the slow looking the Raleses advocate. Labels are off to the side; visitors can easily walk around sculpture pieces, large pieces, like Brice Marden’s Moss Sutra with the Seasons, have plenty of room to breathe. When it comes to amenities, the Raleses seem to have thought of everything–two cafes, an outdoor patio, wifi, three comfortable benches designed by Martin Puryear, maps of the galleries and the grounds, a “Glenstone Field Guide” and so on. My visit was wonderful. So what’s wrong? There is one problem that can be fixed–and maybe a fix is already in the works. On the grounds, there is not enough way-finding devices. When I was there, several people were asking frequently stopping to ask directions of the guides posted in a few places along the way, and still getting confused. Some people did not understand, or see, the paths to sculptures by Serra and Koons, and they accidentally skipped them. (At first, I chose the wrong path at that juncture, but realized my mistake in enough time to correct that). Just a few more signs, even small ones, or other way-finding aids would help people explore. The second issue I have applies only to people who spend a lot of time in the art world–it’s about the collection itself. The Raleses concentrated on well-established artists and said they collected in depth. But in this first installation, at least, there’s just one piece by Marden, for example (granted, it is a commission, but like some of his other work), and two by Roni Horn, for instance. So people do not see that depth. Further, because the artists are so well known, there are few surprises. 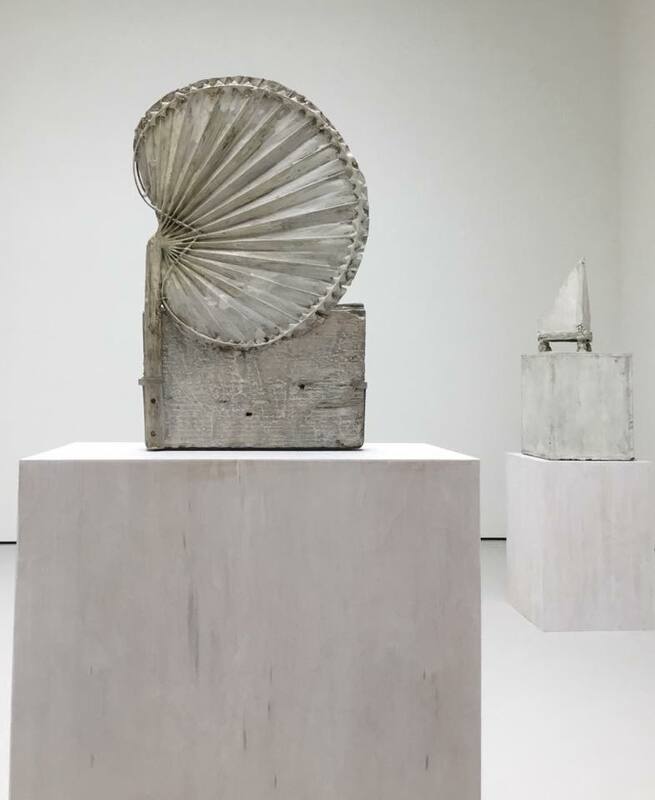 Cy Twombly’s sculptures (at left) are one; I am hard-pressed to recall another. I have seen this art–or pieces much like almost all of them–before, over the last many years. That means, for me at least, that one visit to Glenstone was wonderful, but not enough to get me back anytime soon. Yes, I know the exhibitions will change, but will there be surprises? Even so, I congratulate the Raleses on Glenstone–it is a gift to the art-loving public.